In this article, we'll show you the new feature introduced in ASP .NET Core that allows you to inject dependencies directly into a View using the dependency injection container. 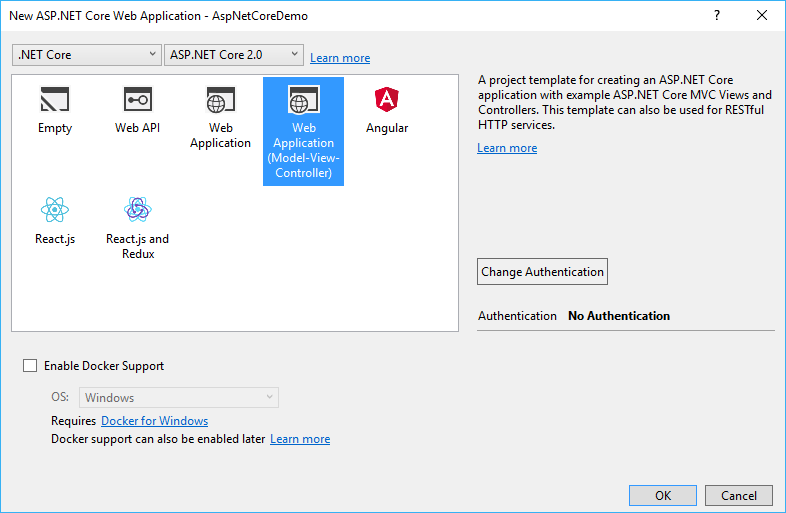 ASP .NET Core has introduced a feature called view injection that allows you to inject dependencies into a view using the inject keyword. Previously, to retrieve data from a View, we needed to pass it from the Controller using the Controller properties, such as ViewBag, ViewData, or Model properties. 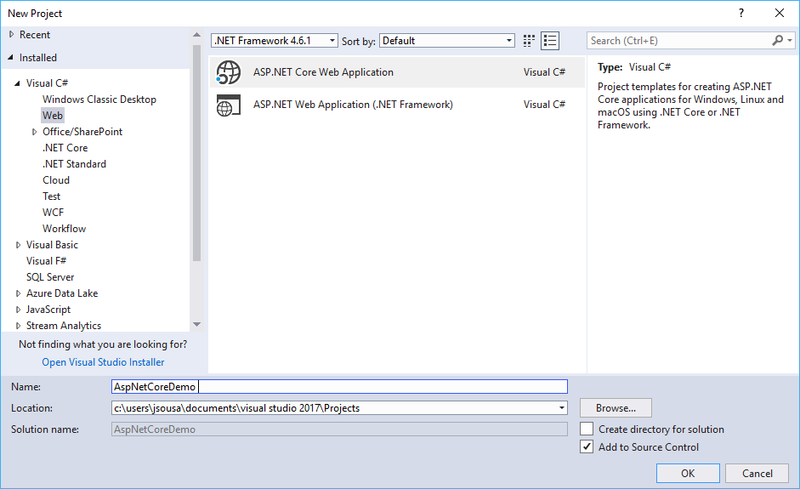 In ASP.NET Core MVC, this task became very simple using the Inject directive that allows you to inject the dependencies directly into the View and retrieve the data. Let's see this working in practice! 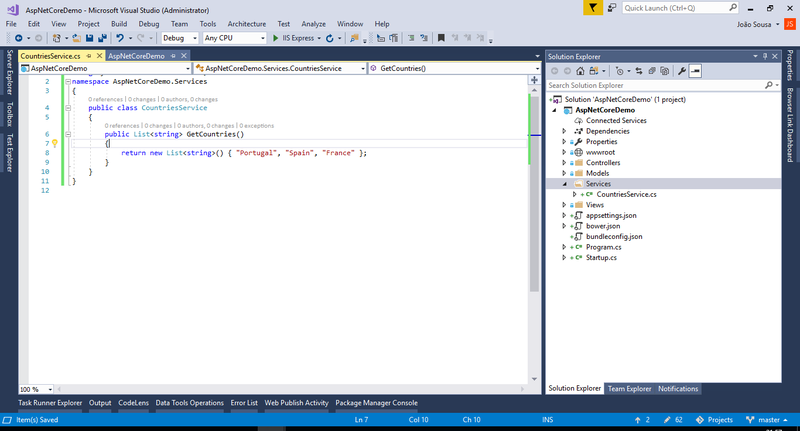 Open VS 2017 and on the File menu click New Project. 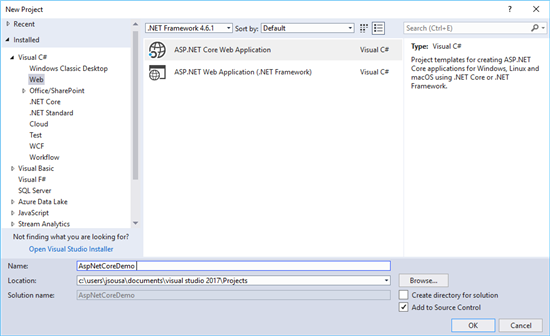 Then select the Visual C # -> Web template and check ASP .NET Core Web Application (.NET Core). 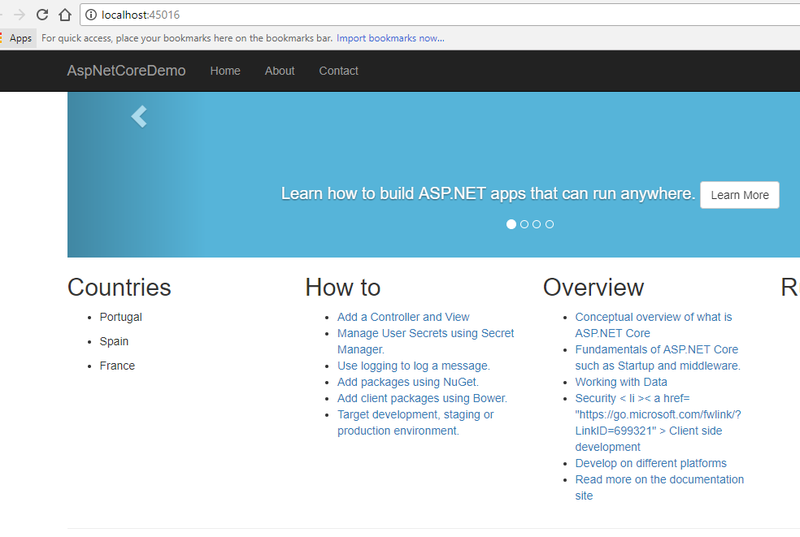 Then enter the name AspNetCoreDemo and click OK.
Let's define a very simple service just for testing in our application. We will now see how we can inject the service created in the project view using the @inject directive. Think of the @Inject directive as a property being added in your View and populating the property using dependency injection. 2. <service> - is the class of service. 3. <name> - is the service injection name through which we can access the service's methods. Open the Startup.cs file and add the code below to this file that registers the service created for dependency injection in the ConfigureServices method.